Prescott Parents and Principal Roche host a UNIFORM FREE OPTION (UFO) Day. The second and fourth Friday of every month (if school is in session), starting September 28, Prescott students will have the option of paying $1 to be Uniform Free for the day. How do you pay for UFO Day? You can pay in cash, check (payable to Prescott Parents) or credit card online here for the convenience! 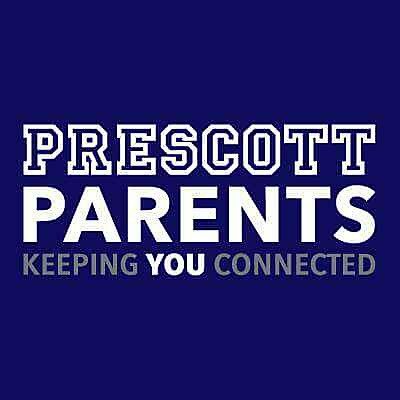 The Thursday prior to the UFO day, a Prescott Parent will be present in the Cafeteria during lunch for students to pay their dollar. Thursday is the ONLY DAY the money will be collected during the lunch hour, no exceptions. The next day, Friday, is the day to come to school Uniform Free. You can purchase an annual season pass—pay for all UFO Days for the year! Keep a look out for the announcement for “the day to pay” at the beginning of the school year. If you want to pay for the Season Pass on-line, click on the link https://ufo.givesmart.com When you visit the website, you will be instructed to click the Pay for UFO button. Don’t forget to include the student’s name and room number. Some things to keep in mind: UFO is meant to be a fun day for the students of Prescott. Anyone who chooses to dress Uniform Free, and did not pay, must change into a uniform. Clothing worn on UFO Day also must be appropriate. If you do not know if it is appropriate, DO NOT wear it. Any student without appropriate clothing will need to change into a school uniform. He or she will also not receive a refund for the Pass. Prescott Parents will use the funds raised for numerous projects within the school to help the gaps in the budget. Please contact Jennifer Lister at 312.848.0570/prescottschoolchicago@gmail.com or Principal Roche with any questions.